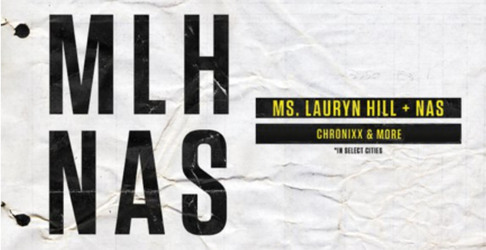 Nas and Lauryn Hill announced a joint tour on Tuesday slated for this fall. The jaunt kicks off September 7th in Chicago, criss-crossing the country before wrapping up in Vancouver on October 11th. Roots reggae singer Chronixx will serve as the opener for 11 shows. Read more here for more information.